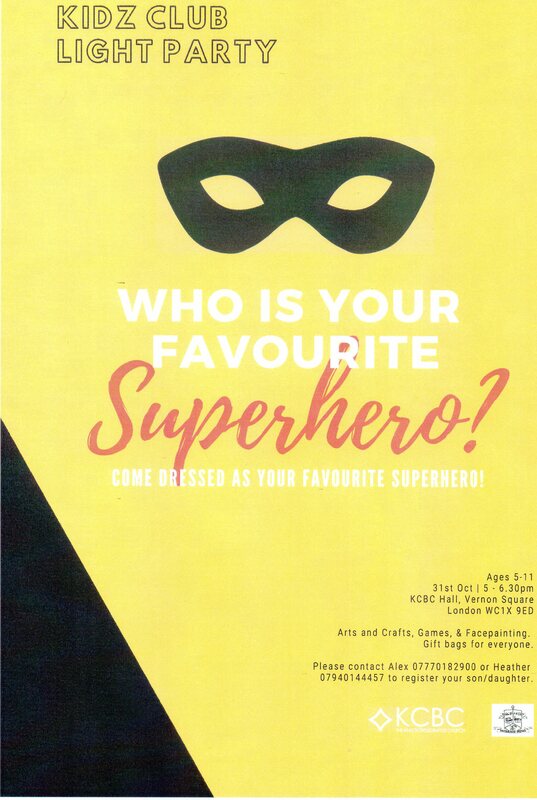 Popular children’s drama and dance school is offering a Free Trial Session and a special introductory discount of £40 children if you sign up by 30th September. Parents should quote NEWS30/09/18 when they book their free trial session by going to www.perform.org.uk or calling 020 7255 9120. Your nearest class is here at St Andrew’s every Wednesday 4pm and 5pm. Our website is www.perform.org.uk and we’d love to see some of your children at our classes soon. 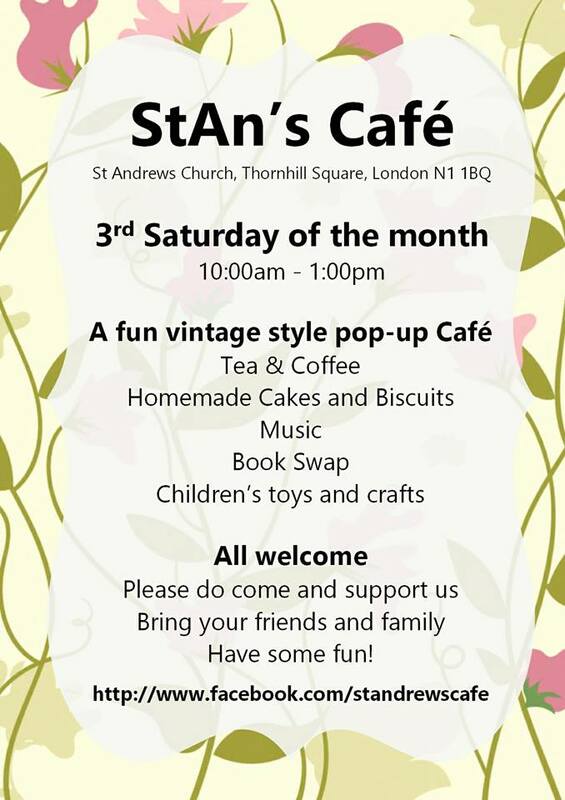 StAn’s Café is a fun vintage style pop-up Café serving tea, coffee and homemade cakes and biscuits at the historical St Andrew’s Church, Thornhill Square, N1 1BQ. The idea of StAn’s Café is to welcome the community to our church – brain storm by me and my friend Lis. During Open Church on Saturdays visitors would drop by to see our beautiful church and view our historical display, some might light a candle and say a quiet prayer. 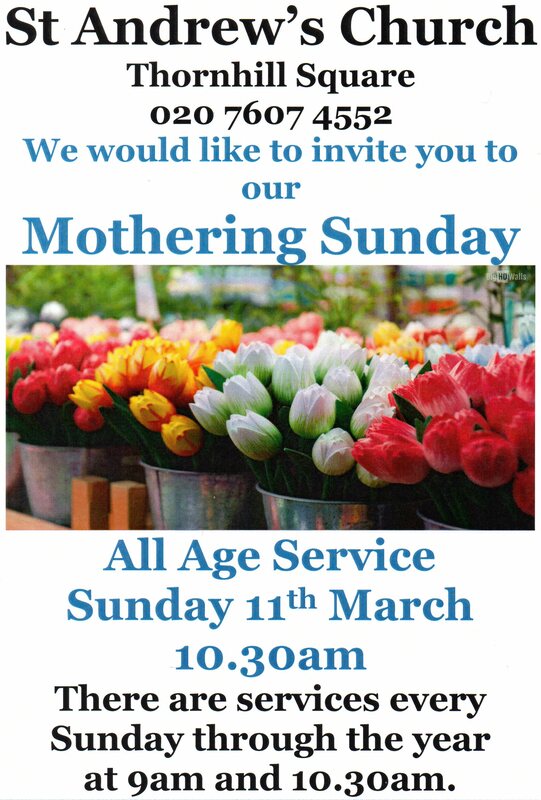 All are welcome and there is always someone to greet you or answer your questions. 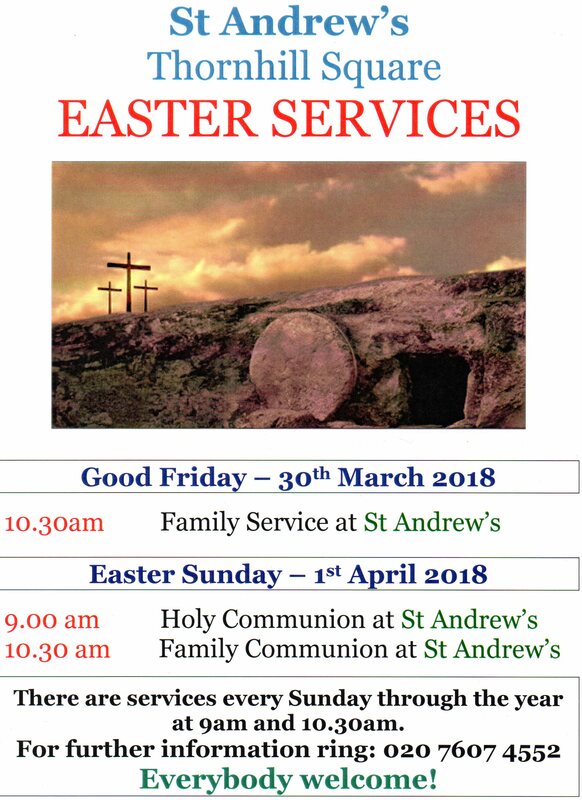 Lis and I decided one major element was missing from this picture – the warm welcoming community spirit which represents so much of everything we do at St Andrew’s Church. So we decided to run a pop-up style café once a month during Open Church on the third Saturday of every month. We wanted to create a warm friendly lively family atmosphere and to leave something for our visitors to talk about after their visit! 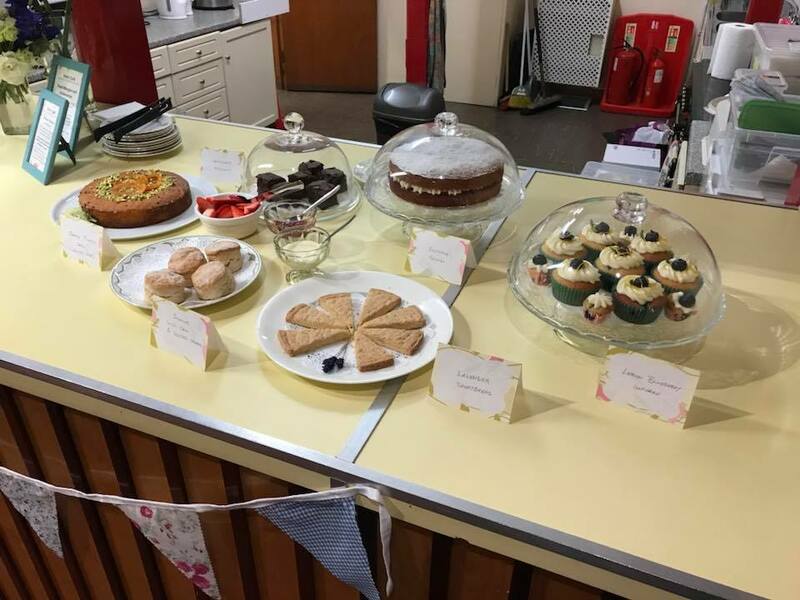 We would offer delicious home baked cakes and a selection of tea served in proper cups and saucers and teapots too! We would liven up the place with music from the 50’s in true vintage style and provide activities like traditional children’s toys (none of this digital stuff), board games perhaps and a book swap table – something to read with your cup of tea and to take home so you may find out how it all ends and perhaps to come back next month and swap for another capturing story! Everything we offer at our café is free! 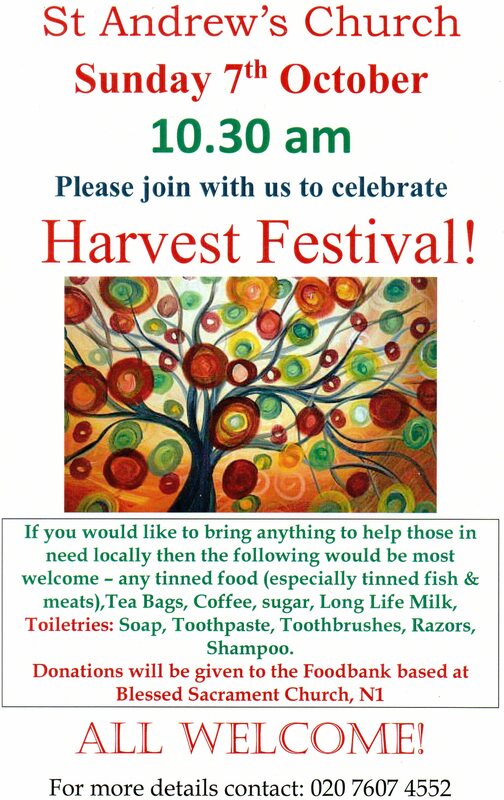 We only ask for a donation to help keep StAn’s Café operating and to raise funds towards St Andrew’s charity projects. Now that is something to talk about! Every month we have different cakes and some months we have themed bakes. Definitely watch out for our Christmas openings – more surprises to come! So I hope to see you at our café soon.